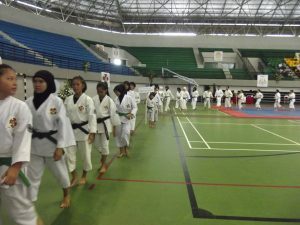 The 1st Woman Shorinji Kempo Taikai was held in Yogyakarta, Indonesia on April 19-20, 2018. The event was held on April 19 – 20 to remind the born of Raden Ajeng Kartini, one of Indonesian national heroines and aristocrate who had been written that Indonesian women lived under pressure. She was born on April 21st and Indonesian people celebrate it every year. 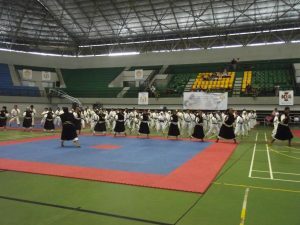 This event was followed by only woman Kenshi and this is the first time in the world of Shorinji Kempo. 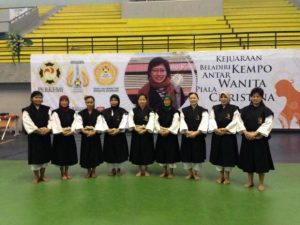 This event was also held in order to commemorate Christina Siwi Handayani, woman Kenshi, former Chairman of the Provincial Board of Yogyakarta who passed away on August 1, 2013. 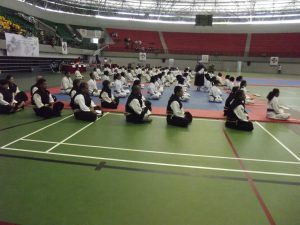 This event was followed by approximately 200 women Kenshi from branches in Indonesia.